Meet some of our devoted and insightful consumers who are helping Mercy Health continually improve our care and services. These stories have featured in the Mercy Health quarterly newsletter Our Voice in the past year. 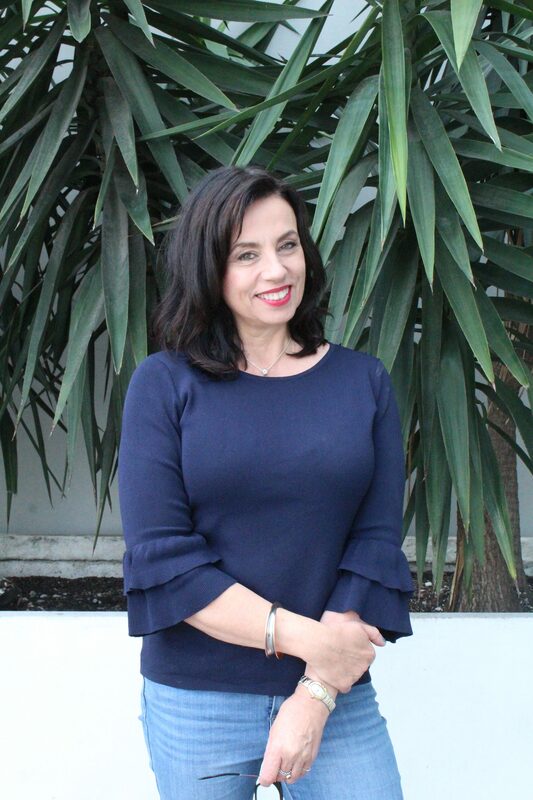 A founding member of the Mercy Hospital for Women Consumer Advisory Group (CAG) and a recent addition to the Cancer Supportive Care Screening Steering Committee, Jane Power is a strong advocate for giving consumers a seat at the table. Here she shares her story with Our Voice. fit and healthy 56-year-old, had undergone surgery to remove a cyst on one of her ovaries. 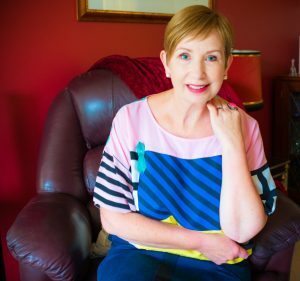 The specialist bore terrible news: Jane’s pathology results showed she had ovarian cancer, and it was spreading. That phone call was the beginning of Jane’s cancer journey. Her specialist referred her to Associate Professor Peter Grant, Gynaecological Oncologist at Mercy Hospital for Women. “Peter and his team became my champions,” recalls Jane, who underwent further surgery and six gruelling rounds of chemotherapy. Six years after the initial diagnosis, Jane is now in remission and takes no day for granted. After chemotherapy, Jane’s physical and emotional health was still fragile. But throughout that period she developed a passion for consumer advocacy that has gone from strength to strength. Soon after her treatment ended, Jane applied to join the newly established Mercy Hospital for WomenConsumer Advisory Group (CAG). “I really wanted to make a difference for other women going through their cancer journies,” Jane says. On the CAG, Jane’s view is sought on a range of issues including quality standards, newly developed brochures, signage in the pathology collection centre and placement of hand hygiene stations. Jane was also recently appointed as consumer representative to the Cancer Supportive Care Screening Steering Committee. The Committee oversees screening for supportive care services for people with cancer and their families, which can include everything from physical and practical to spiritual needs. A screening tool, effectively a ‘stress thermometer’, is offered at several points along the patient’s cancer pathway. “No matter what process staff are following, it’s really important to remember there is always a person at the other end,” Jane says. Husband, father and passionate Wyndham local Kapil Thakkar joined the Werribee Mercy Hospital Community Advisory Group (CAG) two years ago and relishes the opportunity to give back to his community. He took up the role because he recognises the vital part hospitals play in community life. “I’m passionate about bringing acommunity voice to Werribee Mercy Hospital and, at the same time, taking hospitals to the community so there is a better understanding between the two,” Kapil says. Having immigrated from India 11 years ago, Kapil knows that it is not easy settling in to a new country. This is part of the reason he is keen to help the hospital understand the needs of different multicultural groups — something particularly important in Wyndham. Every two months, Kapil meets with other Werribee Mercy Hospital consumer advisors and staff to learn about the hospital and provide input on a range of issues, from fundraising to wayfinding. “As a Consumer Advisor, I get to make suggestions on wayfinding. Is it legible and easy to understand? Will people from different ethnic backgrounds understand it? “I also make recommendations to the hospital about how they can engage with the local community, like getting them involved in Mercy Health’s fundraising opportunities. I then take these opportunities to the community and make the connections happen,” Kapil says. 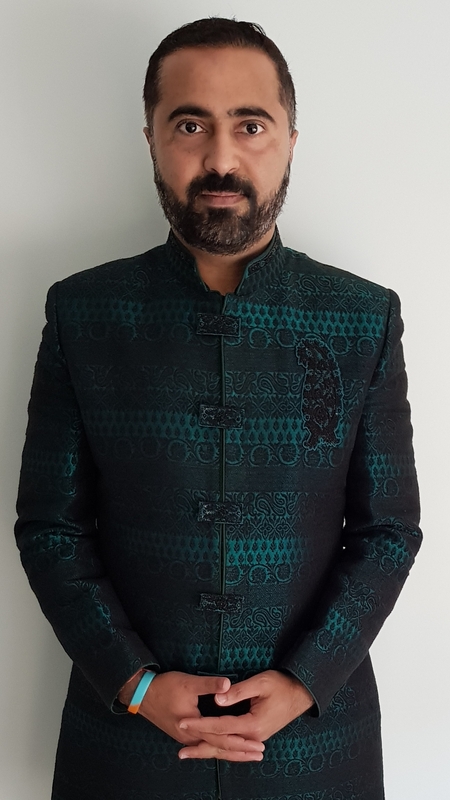 Kapil has many links to the community, including as a Community Ambassador for AFL Victoria, a columnist at The Indian Press Club, and a Public Relations and Multicultural Officer for the Gopio Melbourne Chapter, so his contribution to the CAG is invaluable. While Karen Barclay-Moss was visiting both of her parents in hospital for over two years, she realised how hard it can be for people to find information about their illness or treatment options. After supporting her parents through major operations and her mother’s subsequent illness, after which she sadly passed away, Karen wanted to make a difference for people facing their darkest moments. “When people are not well, they can feel very vulnerable and unable to express their needs easily,” says Karen, who is also a Research Officer for the Australian Stroke Clinical Registry. Wanting to help make a difference, Karen joined the Mercy Hospital for Women (MHW) Community Advisory Group (CAG) in early 2016. The CAG consists of Consumer Advisors — patients, clients, families and carers — who help Mercy Health improve its care and services by offering feedback on projects, marketing material and policies. As a Consumer Advisor, Karen attends regular meetings and helps many people feel more confident about navigating the health system. Her involvement in the CAC has included reviewing wayfinding signage at MHW. She also particularly enjoyed reviewing content for Mercy Health’s new Health Services website, which launched in August. “When people are looking for their way around a hospital, or a hospital website, it’s usually because they need information for themselves or a loved one. They could be feeling a bit anxious so it’s important to have the information as accessible as possible,” she explains. “I was looking at it from the point of view of people using it — what they are looking for and what they would like to see on it,” she adds. Karen’s input was part of extensive consultation with Mercy Health patients, staff and stakeholders at more than 70 workshops and meetings. She is happy she could make a contribution by volunteering. “Sometimes women and the elderly are not listened to as much. I feel it’s important that they are represented and their voices are heard,” she says. Last reviewed September 7, 2018.